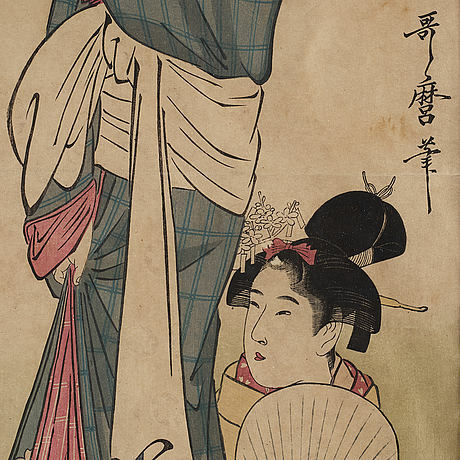 UTAMARO KITAGAWA (c.1753-1806), after, color woodblock print. 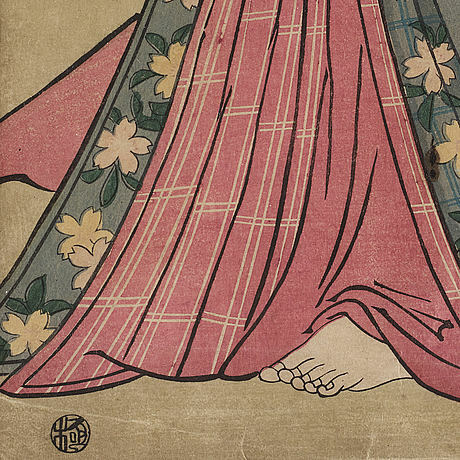 Japan, 19th century. 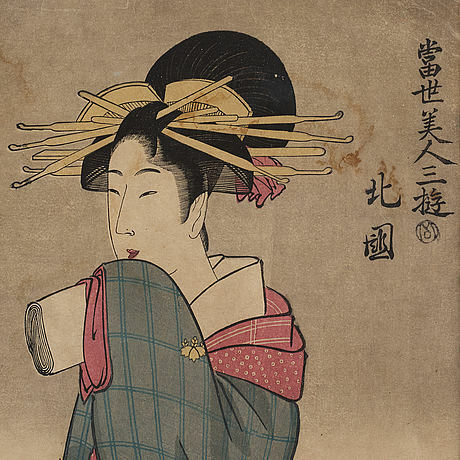 'Hokkoku', from the series 'Three amusements of contemporary beauties'. 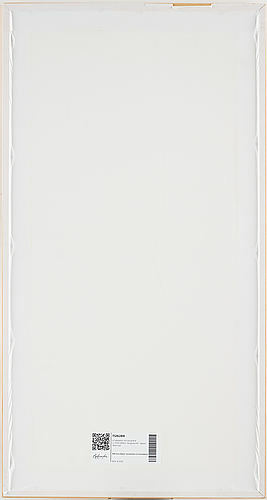 Image size 50 x 22 cm. 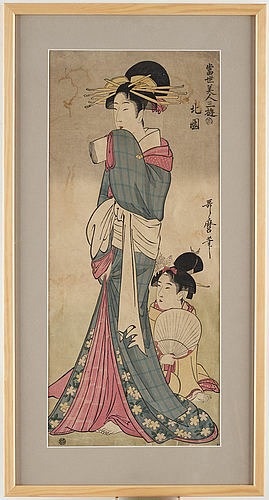 See similar at the Honolulu Museum of Art, nr 15575; Harvard Art Museum, nr 1933.4.603; Museum of Fine Arts Boston, nr 21.6542. Not examined out of frame. Damages. Discolourations. Dirty. Stains. Creases.